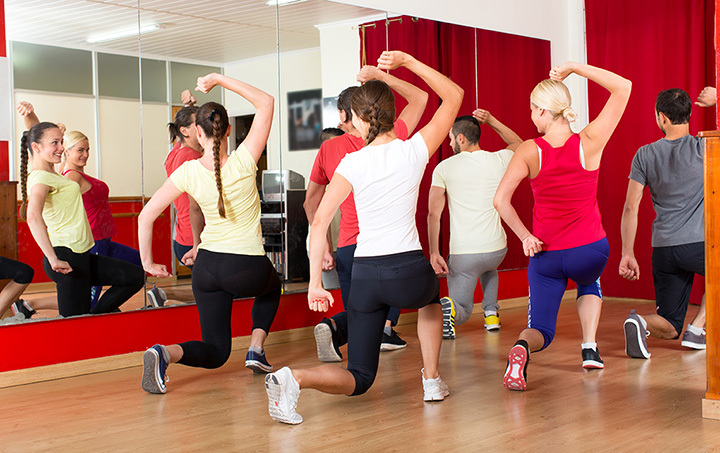 The 8 Best Zumba Classes in West Virginia! Zumba is a fun way to improve your health and wellness that combines exercise and dance. Perfect for those who are looking for a heart-pumping workout or for those who just want to get their body moving to a fun beat, you’ll find eight of the best places around the Mountain State that offer classes. Clean and comfortable surroundings, a helpful and knowledgeable staff, and great member benefits are what you’ll find at WV Fitness in Bridgeport, West Virginia. If you want a place you can call your home away from home and share with your friends, this is the place. Open since 2003, WV Fitness is open 24 hours a day and takes health and wellness seriously by offering state-of-the-art equipment and group classes like Zumba, yoga, and dance boot camps. Daycare is also available for those working out in the gym. If you’ve made the commitment to improve your physical fitness, join others like yourself at Cindy’s Fusion Fitness in Wellsburg, West Virginia. There are over 25 classes offered each week, and they have a full line of weights, bikes, and other equipment that will help you on your way to better health. They have several studios where they have group programs like Zumba, yoga, and aerobics, but their well-trained staff can also help you create your own path to fitness whether alone or with a group. Brickhouse Cardio Club is a great spot to visit to improve your fitness. If you want to lose unwanted pounds, improve your stamina, tone up, or work toward better health in general, the specialized trainers at Brickhouse Cardio can work with you to assess and develop a plan that works for you. Be sure to check their schedule online to see when Zumba classes are offered! With several locations, over 90 classes each week like Zumba, Pilates, spin classes and more, Nautilus Fitness Center will help you join the fitness revolution and work your way to better health. Modern facilities and friendly, knowledgeable trainers guide and encourage you through high-intensity workouts, low-impact exercises, water aerobics, and relaxation techniques designed to make you a healthier you. This modern fitness center located in Morgantown, West Virginia, is the perfect place to energize, exercise, and improve your health. Lakeview Fitness Center is close to WVU and offers a 40,000-square-foot facility that includes full-size basketball, racquetball, and tennis courts, pool and Jacuzzi, steam room and sauna, and state-of-the-art equipment you need. Personal trainers and a nutritionist are also on hand to provide ideas and help you stay on track to meet your personal goals. The on-site childcare facilities are available for a modest fee, and you’ll have many choices of classes like Zumba and yoga. Opened in 2010, this is one of the largest gyms in the area. Extreme Family Fitness in Martinsburg, West Virginia, is three facilities in one! Sporting its own yoga studio, the other areas of this fitness facility include an area with cardio equipment, weights, and space for group classes like Zumba, spinning, dance, and BodyCombat. Free Wi-Fi and affordable childcare are available, too, and you’ll find friendly and knowledgeable trainers there who can answer any questions you may have. Kids karate and other martial arts are available, and they have a nutrition center on site. A seasoned professional exercise instructor, Monica Cecil operates Fiery Furnace Fitness in Bluefield, West Virginia, with a passion for helping her clients improve their lives. She uses her experience to offer physical fitness programs to seniors and teaches group classes like Zumba, Healthy Steps, and Powerflex. Certified through the American Heart Association and licenses as a Certified Nursing Assistance in the state, Monica teaches better health through a variety of safe and effective methods. Located at Roane General Hospital in Spencer, West Virginia, Fitness Complex is open every day except Sunday. Serving the community in wellness practices, the Fitness Complex uses staff certified in areas like cardiovascular, physical therapy, and general health and wellness areas. Whether you’re looking to improve your health, recover from a recent injury or surgery, or strength your core, you’ll find a variety of classes like Zumba and weight training that will help you on your journey to wellness.